Hello and welcome to our website. All our classes and training have one thing in mind and that is you. Let us teach you or your kids to feel Safer, Fitter, Smarter and to be Always Ready! Download your FREE GUIDE and learn how Krav Maga could help you! AR Krav Maga Norwich is an official award winning Krav Maga Global (KMG) affiliate Club. 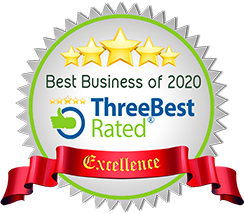 In 2017/18 and again in 2019 we were rated as one of the Top 3 Martial Arts Clubs in Norwich by ThreeBestRated. If you wish to train with the source of Krav Maga self defence you will be happy to hear that we are the only provider of authentic KMG Krav Maga self defence classes in Norfolk. Due to its simplicity and straight-forward approach, Krav Maga can be learnt by anybody who wants to learn, and develop their fitness in an enjoyable and fun way while learning the skills to be able to protect themselves in dangerous and difficult situations. You may be wondering what the AR stands for? Well, we guarantee that, after a few classes with us, you will start to feel ‘Safer, Fitter, Smarter and 'Always Ready', but do not take our word for it. The best way to experience first-hand what we have to offer and to see just how much fun, friendly, effective and welcoming our Krav Maga classes really are is to book onto our 12-week Level 1 Foundation Course for beginners or one of our Trial Class Programmes today. Best self defence class Ever! !